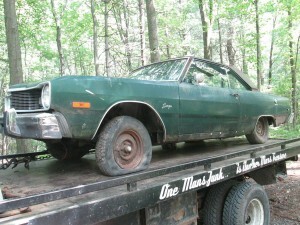 Home › The Blog › 1975 Dodge Dart – Parting out 1967 – 1976 A-Body and 1970-1974 E-Body disc brakes. This just in. 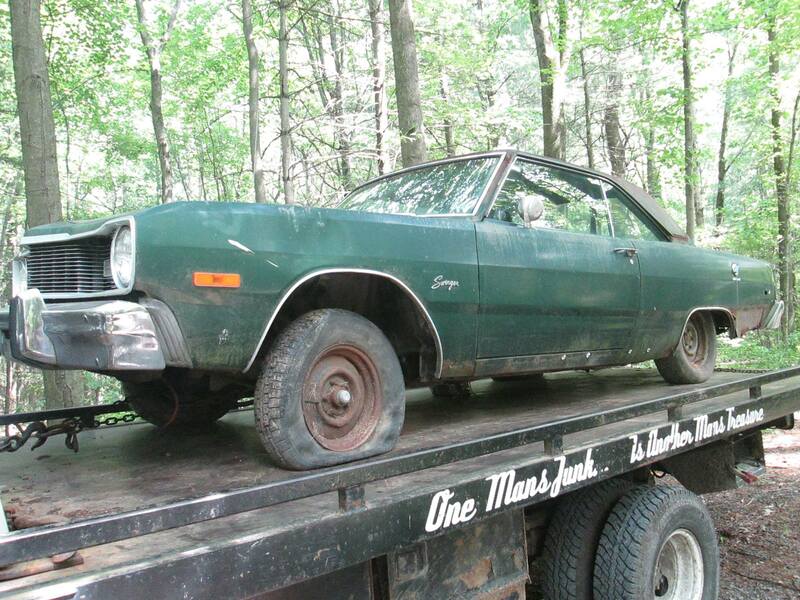 Another 75 Dart. This one is a little rougher than the last and hit in the same 1/4 panel. It has disc brakes which will fit 67 – 76 A body and 70 – 74 E body. Look for parts from this and other cool classic cars on our eBay auctions page or contact us to buy ASAP.